Veendam is a vessel of grand proportions. 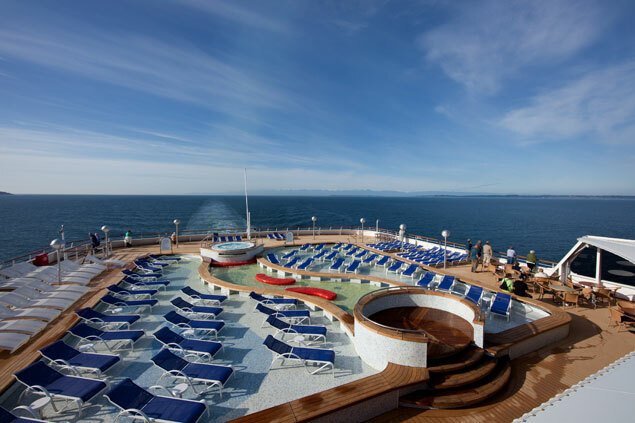 Recently renovated, it provides an onboard experience rivaled by no other ship on the ocean. Distinguished by a $2 million art and antique collection, teak decks, comfortable and spacious staterooms, and amazing culinary chefs, this ship ensures that your cruise vacation is wholly memorable. The ship now features Spa staterooms, located close to the Greenhouse Spa, Lanai Staterooms, which are on a private deck as well as the Retreat for adults. 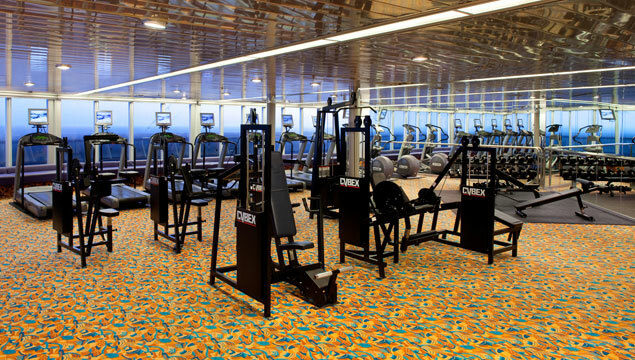 Veendam now sports some of the best amenities and activities available. Enjoy an enrichment program sponsored by Windows®, or a cooking class in a state-of-the-art demonstration kitchen presented by Food and Wine Magazine. The Retreat is a private pool for adults - no kids allowed. The Greenhouse Spa and Salon is a great place to enjoy a facial, a hot stone massage, or have your hair and nails done. The Crow's Nest offers a stunning 270-degree view and if you want to work up a sweat, you can head to the state-of-the-art gym facilities. For the kids, there is Club HAL®, a supervised program with age-appropriate activities for children between 3-12; The Loft and The Oasis are exclusively designed for kids ages 13-17 to enjoy. 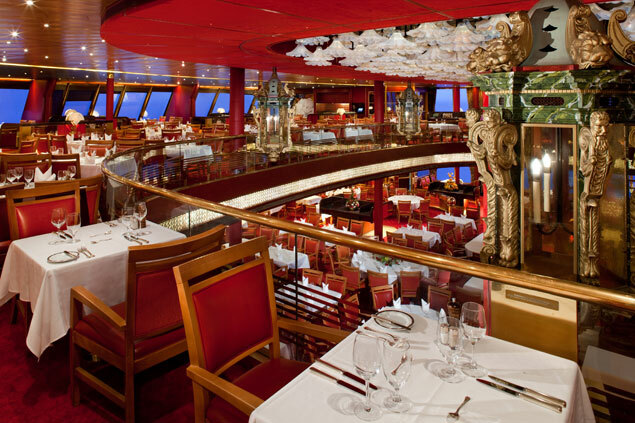 Experience fine dining on Veendam - with so many options for a great meal, you will not know where to begin. The Rotterdam Dining Room with its impeccable service offers five-course meals that include vegetarian cuisine, continental foods, and even low-carb options. The Canaleto is a dinner restaurant featuring delicious Italian fare. The Lido Restaurant is a relaxed environment for every meal of the day, and they prepare your food to-order. Try the Pinnacle Grill for an amazing steak and seafood meal, paired with fine wines. 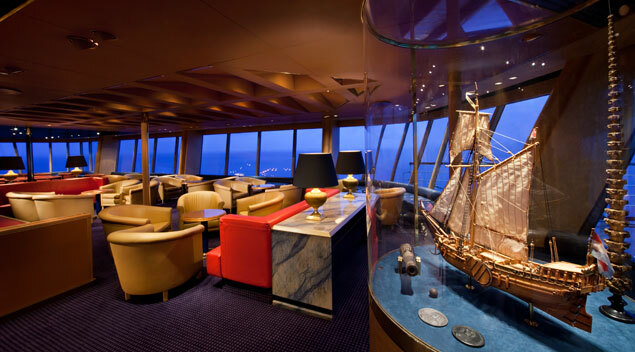 The ship has a coffeehouse and 24-hour room service, too. Veendam also features multiple entertainment possibilities. 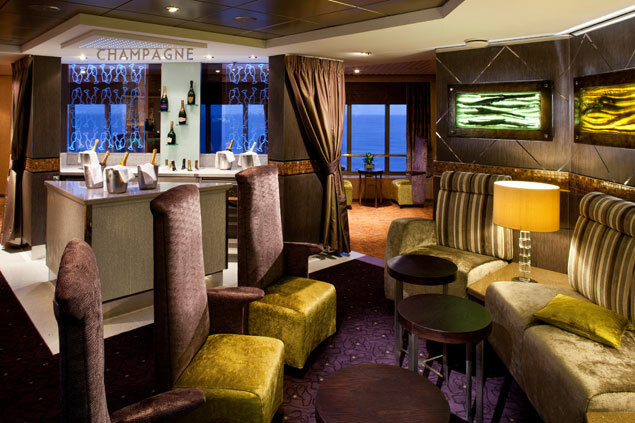 Try the Showroom at Sea and enjoy the amazing nightclub venue that has excellent entertainment. 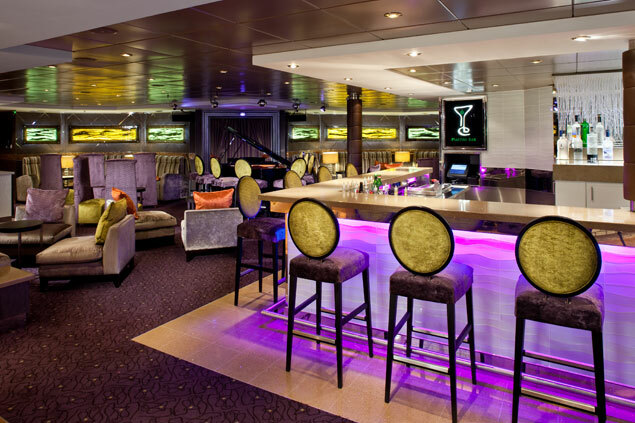 The Crow's Nest is a fashionable nightclub at night, so head on over and dance the night away. There is Mix, which combines three venues: Champagne, for mimosas, Martinis for cocktails and martinis, and Spirits & Ales for microbrews, single malt whiskeys and sports events.